The Canon PowerShot G1 X Mark II is a compact camera with a large image sensor (1.5/1 inch) and a fast, built-in 5x zoom lens (24-120mm). 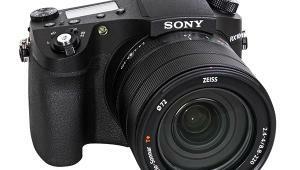 The camera offers image resolution of 13 megapixels and allows manual set up of all parameters. 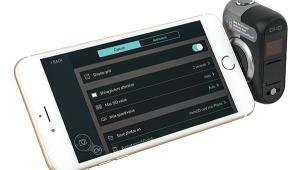 It is also able to record high-resolution video. 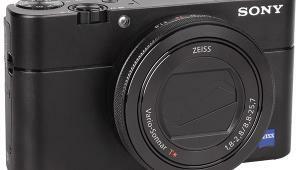 For a compact camera, the Canon PowerShot G1 X Mark II has a large image sensor; in fact, it is slightly larger than the sensor found in Micro Four Thirds cameras. The G1 X II offers a moderate resolution of 13 megapixels, with maximum resolution in images with an aspect ratio of 4:3. 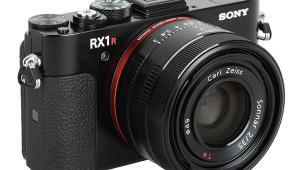 By default, however, the camera is set to an aspect ratio of 3:2 that delivers slightly less image resolution. 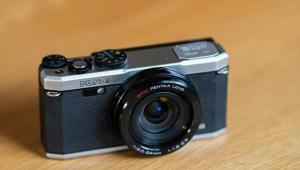 The camera shares the bulky design of all previous Canon G cameras. 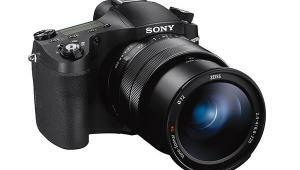 Nevertheless, it offers intuitive handling, including two lens rings that allow the user to set up manual focus or to change the aperture setting in A and M mode. 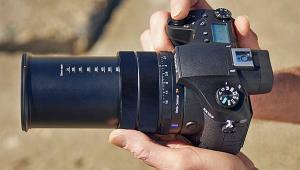 Focal length is controlled with a rocker switch in front of the shutter release button. All other image parameters can be changed with the four-way control field on the back and the knurled wheel that encircles the control field. 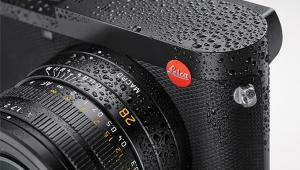 A large mode dial on the top allows access to all standard exposure modes. The camera also offers additional scene modes, special effect filters, and two customer-defined image modes, which are also activated by the mode dial. The “S” button on the back and below the video shutter release button can be programmed for additional functions. 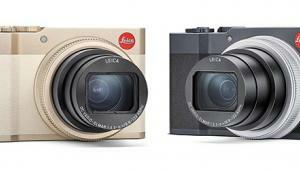 The camera has function buttons and a four-way control field on the back for menu navigation and parameter setup. The high-resolution LCD has 1,040,000 RGB dots and can be flipped up- and downward. The camera has no built-in viewfinder (only the 3-inch LCD on the back), but Canon does offer an optional EVF with very high resolution (2.36 million RGB dots) that can be mounted on the accessory shoe, which can also be used for external flash systems. The camera also offers a built-in pop-up flash. The camera has a large mode dial on the top to change exposure modes. The camera offers standard modes, scene modes, and two customer-defined modes. For selfies the swivel LCD can be flipped upward and to the front. The interfaces (USB/TV, HDMI, wire remote control) of the camera are located on the right-hand side of the body and covered by rubber caps. The camera has a 3-inch, 1.04 million RGB dot swivel monitor that can flip up- and downward and offers a very bright and brilliant image. The camera has a WLAN module and remote control and image data transfer apps are available for Android and iOS systems. Using the Wi-Fi connection to a smartphone, the G1 X II is able to receive GPS information that can be embedded into the image EXIF data. The camera supports NFC technology, so establishing the camera to smartphone connection is very easy. Color: The Canon G1 X II reproduced the color test chart with extremely high saturation. The mean saturation is more than 119 percent, which is very high even for a compact camera. The colors, however, appear natural despite the heavy saturation. The automatic white balance system worked very well and all the gray patterns of the test chart are exactly located in the center of the result chart. The neutral grays are also noticeable in the standard test box shot, while the portrait shot was quite warm with some pink touches in all colors. The very high color saturation is noticeable in the red tones of the model’s T-shirt. The skin tones are fine with a slightly exaggerated magenta rate. Sharpness: The camera showed a good performance in the resolution test and reproduced the test chart with 2713 of 3120 lines per picture height. The camera did show an intense sharpness filtering in all pictures, also noticeable in our test that shows an exaggerated graph for the black and white contrast lines and an overshot effect of 23.2 percent. At times, the very intense sharpness filtering and “de-bayering” algorithms created a slightly artificial and unusual look in fine structures like the hair in the model shot. This seems to be a result of an automatic portrait optimization, even though the model shot was taken in standard P mode and not a special portrait scene mode. In contrast to what we noticed in our portrait shot, the structures in our standard test box image are reproduced quite well. 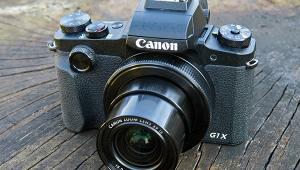 The Canon G1 X II showed a very neutral reproduction of the standard test box. The colors appear natural even though they are very saturated. Reproduction of fine details is good, although the differentiation of the red colors in the spool (upper right) could be better. Noise: The camera showed a very good performance in our noise and dynamic range tests. 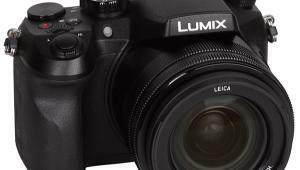 Compared to other digital compact cameras, the luminance noise level is a little higher because Canon does not use a very intense anti-noise filtering to maintain a high level of image detail. Luminance noise that resembles traditional film grain is visible in images taken at ISO 400, but this effect is very discreet. Color noise gets visible in images taken at ISO 6400 and higher, a very good result. Color clouds in areas like the gray pattern of the test chart are only noticeable when images are shot at ISO 12,800, but even then it’s very discreet. The camera tests with a dynamic range of 10.8 f/stops and keeps this high level in images taken at ISO 200 to ISO 400. At higher ISO settings the dynamic range drops drastically. The Canon G1 X II reproduced the color test chart with extremely high saturation. The mean saturation is more than 119 percent, which is very high even for a compact camera. 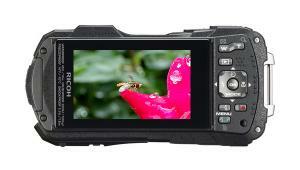 The camera offers Full HD videos with a resolution of 1920x1080 pixels. The camera is able to shoot in progressive mode, but allows only standard frame rates like 30 fps or 25 fps. 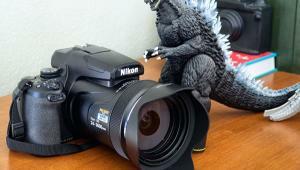 The camera offers additional movie modes at lower resolution (720p). It uses H.264 compression techniques for its video files, which are saved as MP4 files. Video can be activated at any time: the photographer doesn’t have to choose video recording via the mode dial. By pressing the video button the camera will switch into P mode, meaning the photographer can’t use manual exposure modes for movies or even manual ISO speed settings. Because of this we can’t deliver video results for the ISO/noise and dynamic range tests. In automatic mode we did find a good noise result, but a poor result for dynamic range (7.53 f/stops). The video color reproduction is very good. The camera reproduced the color chart with perfect white balance (note the gray pattern results, which are located in the center of the result chart) and the same neutral colors as in photo mode. And just like in photo mode, the colors are very saturated. The G1 X II showed a very low result in our resolution test. The camera reproduced the test chart with 506 lines per picture height when taking Full HD videos (1080 lines per picture height). The movie of the test chart had a very soft look, while our sample real-life clip showed extreme over-sharpening effects with extreme aliasing effects on diagonal contrast lines. These lines show very hard jaggies. The Canon PowerShot G1 X Mark II has a list price of $799.99. For more information, visit www.usa.canon.com.